From the bustling center of downtown Orlando, to the vibrant theme parks, to the suburban communities and all the localities in between, the Central Florida Expressway Authority (CFX) offers you convenient payment options to make traveling toll roads easy. There are several ways to pay tolls in Central Florida: E-PASS, Pay By Plate Toll Invoice, Cash and Paytollo®. For the E-PASS and Pay By Plate options, motorists can use any lane whereas cash customers must follow the advance signage to direct them to the toll attendant. E-PASS is the preferred method of toll payment for motorists who travel Central Florida’s toll roads. Why? Because E-PASS rates are 23% lower than cash. Plus, E-PASS is the only to offer exclusive customer toll discounts on CFX toll roads in Central Florida. Traveling outside of Central Florida to Miami, Tampa, Jacksonville or Atlanta? Don’t worry E-PASS has you covered. E-PASS is gladly accepted on ALL toll roads in Florida, Georgia, and North Carolina — everywhere you see the E-PASS, SunPass, LeeWay, Peach Pass, and NC Quick Pass signs. Read More. E-PASS offers 3 products — FREE E-PASS Sticker, CollegePass Toll Stickers or E-PASS Portable. Don’t know which one is right for you? Click here to learn more. 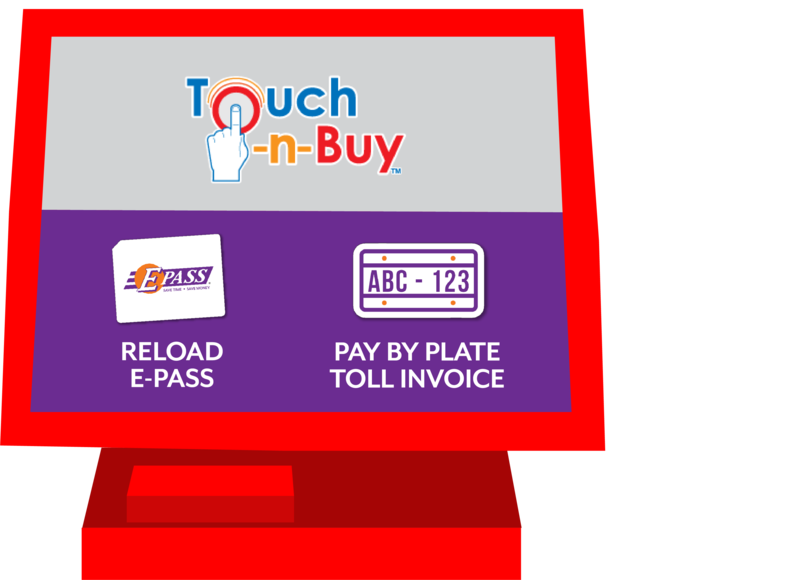 Pay By Plate toll invoicing is an option to “pay as you go” and choose to forgo the benefits of E-PASS toll rates. With Pay By Plate, an image of your license plate is captured when you pass through the toll plaza. Then, electronically, the toll rate for that particular plaza plus 20-cent for processing is assessed to the vehicle’s owner. A monthly toll invoice is generated and mailed to the registered owner of the vehicle. Payment is due within 30 days to avoid toll violations and fines. To avoid potential late fees, getting an E-PASS is recommended. The best part: E-PASS Sticker is FREE online. Please provide the reference number and license plate number on your invoice when making payment. Central Florida is one of the top tourist’s destinations in the world. Because of the number of visitors traveling on our roads each day, the Central Florida Expressway Authority accepts cash at many of its toll plazas. You will see manned and unmanned toll plazas. For those where there is not a toll booth attendant, than exact change is required. Ramp Plaza Guidelines: Ramp plazas are unattended so cash customers must use exact change to pay their tolls. Bills are not accepted. Cash customers merge right to pay at the plaza tollbooths. Toll collectors cannot accept bills larger than $50. Toll receipts are issued upon request. There are several toll roads in Central Florida – and throughout the state of Florida – that feature all-electronic tolling. This means cash is not accepted and the registered owner of the vehicle will receive a Pay By Plate toll invoice in the mail if an electronic device such as E-PASS is not used to pay the tolls. The good news is that E-PASS is accepted on these roads and E-PASS rates are less than Pay By Plate toll rates. That’s why you should consider getting a free E-PASS whether you’re just visiting for a few days or here to stay. Order your E-PASS online and get it in a matter of days. Or, pick up an E-PASS at a drive-thru Reload Lane. Cash is accepted to replenish E-PASS accounts in the Reload Lanes and at Touch-n-Buy kiosk locations throughout Central Florida. This phone application provides drivers the ability to use their iOS and Android enabled phones to pay tolls while driving. For more information about how PayTollo® works, visit their website at www.PayTollo.com. PayTollo works on most toll roads and bridges in Florida. It is now easier than ever to add funds to an E-PASS account or pay an outstanding Pay By Plate invoice with cash. * Touch-n-Buy kiosks powered by Blackstone offer these E-PASS services for customers at thousands of locations throughout Florida, including check cashing stores, local groceries and gas stations. All you need is the transponder number on your E-PASS Sticker or E-PASS Portable, or your invoice number. *Please note: A $1.50 service fee will be included in your payment.